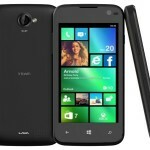 As announced, Lenovo started selling its most recent offering, Vibe X2 via Flipkart today for Rs 19,999. The device flaunts the much hyped multi-layered design technology that will enhance the user experience by delivering enhanced battery backup up to 75 percent, hi-fi JBL sound output and a kickstand to mount the phone. As of now, Flipkart has listed only the gold colored variant of the smartphone for sale. 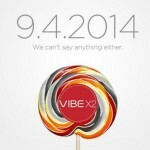 Both Lenovo and Flipkart are providing numerous launch day offers alongside the Vibe X2. It includes 95 percent discount on the Smart Battery Layer, cashback on EMI purchase, Myntra coupons that are applicable on official Android app and free e-books. Those who purchase the smartphone can avail the Smart Battery Layer for just Rs 99, while its regular pricing is Rs 1,999. 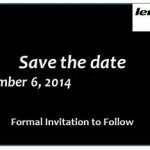 Once a user purchases the Lenovo Vibe X2 today, the vendor will send an email confirmation and the users can purchase the battery cover for Rs 99 between November 18 and December 5. Besides this, the interest for six months EMI when purchased using ICICI and HDFC will be refunded. However, Flipkart claims that the cashback will be refunded to the consumers’ account after 30 days of purchasing the smartphone. 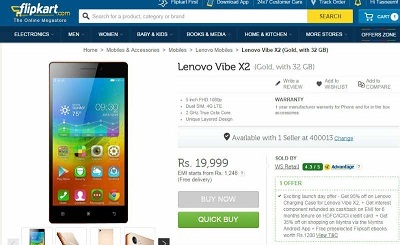 Flipkart is also providing free e-books worth Rs 1,200 with Lenovo Vibe X2. The free Myntra coupon code provided during the purchase can be used to buy via the fashion portal’s Android app to avail 35 percent off. The catch is that this offer can be used on the Android application of Myntra installed on Lenovo Vibe X2 and not on other devices and it is valid till March 31, 2015. The Vibe X2 is given a 5 inch FHD IPS display and uses a 2 GHz octa-core MediaTek MT6595M True8Core processor backed by 2 GB of RAM. Based on Android 4.4 KitKat, the device flaunts a 13 MP primary snapper teamed up with auto focus, LED flash and BSI sensor and a 5 MP selfie camera. There is 32 GB of native storage space, 4G LTE, 3G, Wi-Fi, Bluetooth 4.0, GPS and dual SIM functionality and a 2,300 mAh battery.